Funeral Thank You Cards, including envelopes. 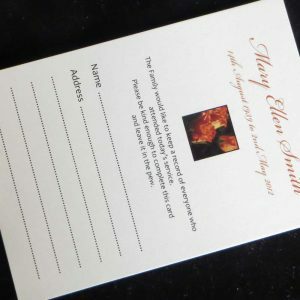 Personalised to your requirements, thank people for their support and sympathy during your bereavement. Free draft before you purchase. 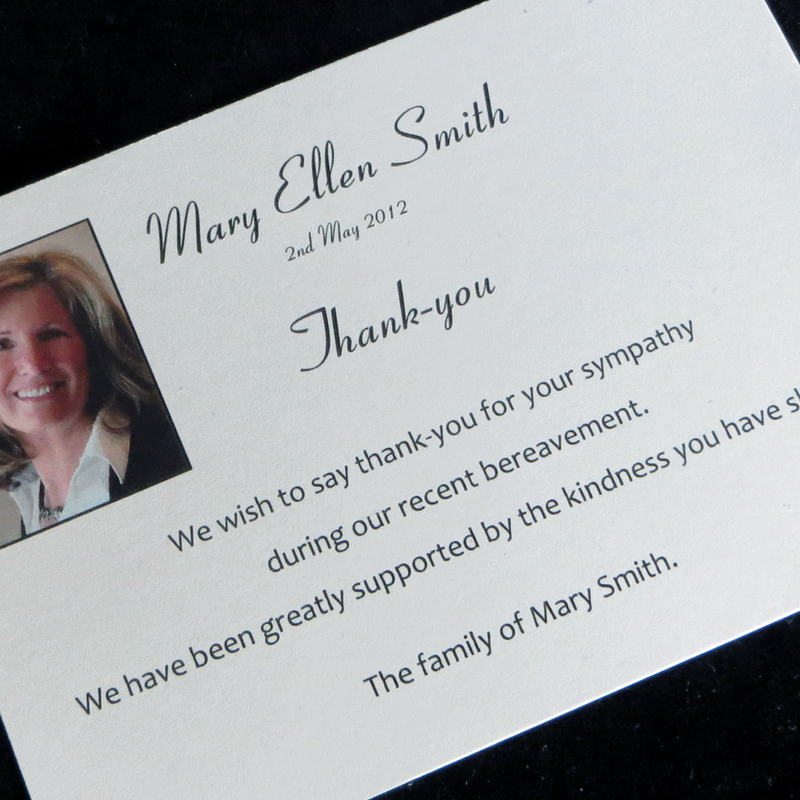 Funeral Thank You Cards FTYC01 are personalised to your requirements. 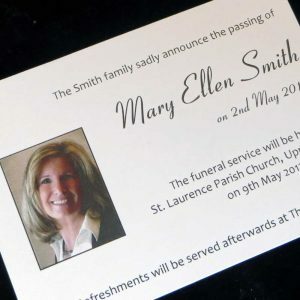 Simply designed in a landscape orientation with a photo of the deceased in the top left corner. 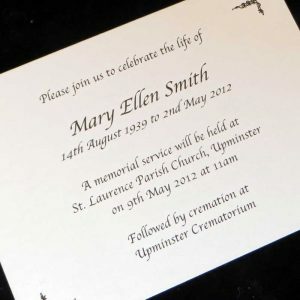 Printed on smooth white or ivory card and supplied with colour coordinated diamond flap envelopes. 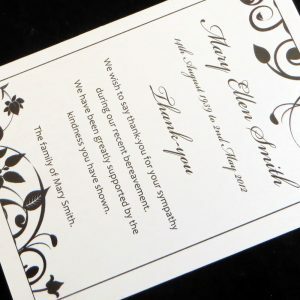 Personalised Funeral Thank You Cards FTYC01 are sold in packs of 10, are securely packed for safe delivery and include free 1st class postage within the UK. An upgrade to 24hour delivery is available if required. This design reference is FTYC01 and you will need this to fill out your details. We strive towards an excellent service for all our clients and aim to accommodate wherever possible your requirements. 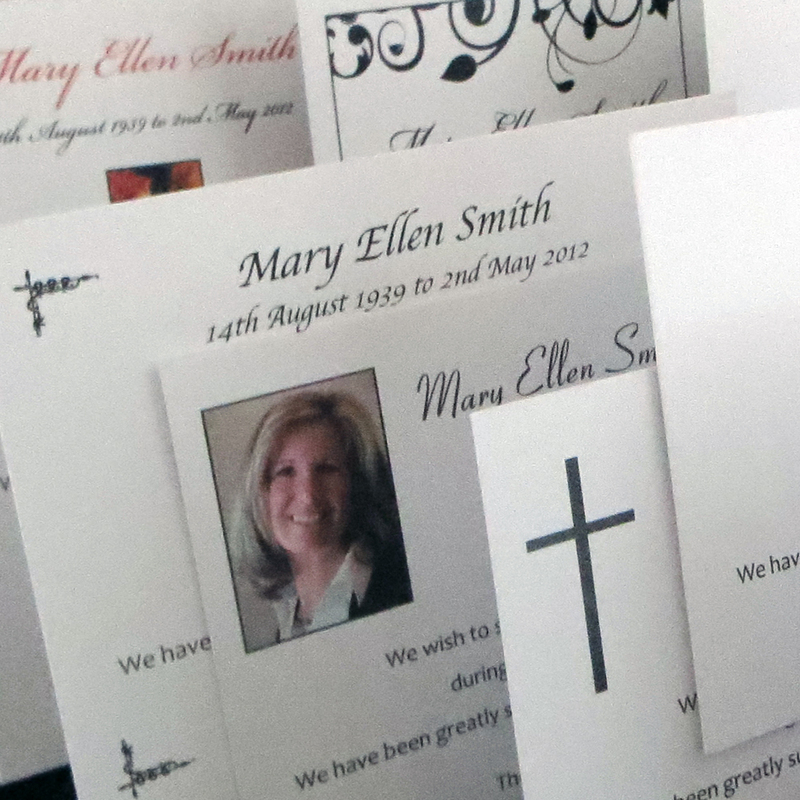 If you need your Personalised Funeral Thank You Cards immediately please contact us before you order. These are low resolution photographs and the colours may look slightly different on your computer according to your screen settings. Should you have any queries please do not hesitate to contact us quoting FTYC01.